A very sophisticated appearance. The sophistication is typical of this bed model. 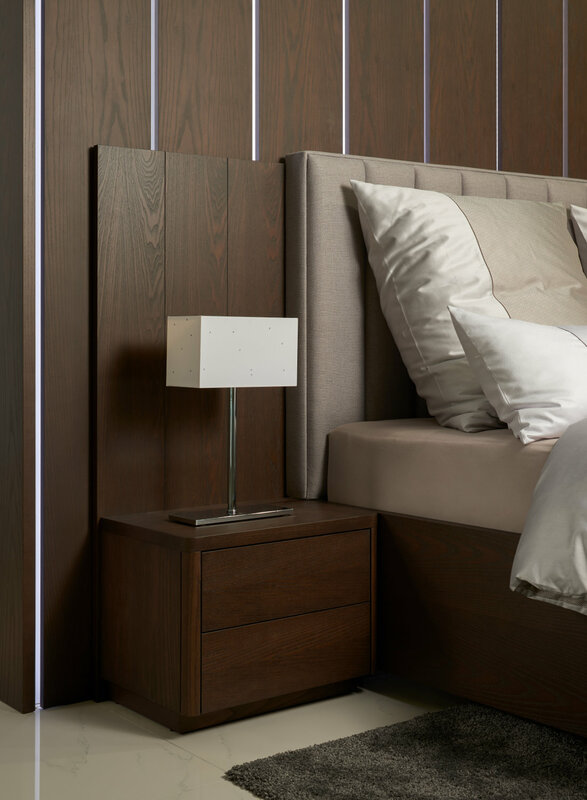 It combines a premium veneer with quality upholstered headboard. are an interesting feature with crafsmanship details.